All White Post homes currently listed for sale in White Post as of 04/22/2019 are shown below. You can change the search criteria at any time by pressing the 'Change Search' button below. If you have any questions or you would like more information about any White Post homes for sale or other White Post real estate, please contact us and one of our knowledgeable White Post REALTORS® would be pleased to assist you. "200+ acres South of Route 50 in Prime Calrke county location. Historic farm. potential to purchase 705 Acres. Parcel offered includes main house (8,000 st) attached one bedroom guest house, summer kitchen/guest house. tenant house, 4 car two level garage, Ice house and historic spring house on Virginia historic registry, two barn,s, outbuildings , two ponds, great views. VOF Easement." "This listing is combining 4 separate parcels into 1 listing. There are 3 parcels that have structures on them and 1 parcel of raw land. These parcels are described in detail in the document section under Addendum to Listing. The ~Wheatland PDF~ in the documents section will show the potential this wonderful opportunity presents to a personal buyer, investor or entrepreneur. Truly a once-in-a-lifetime must-see. 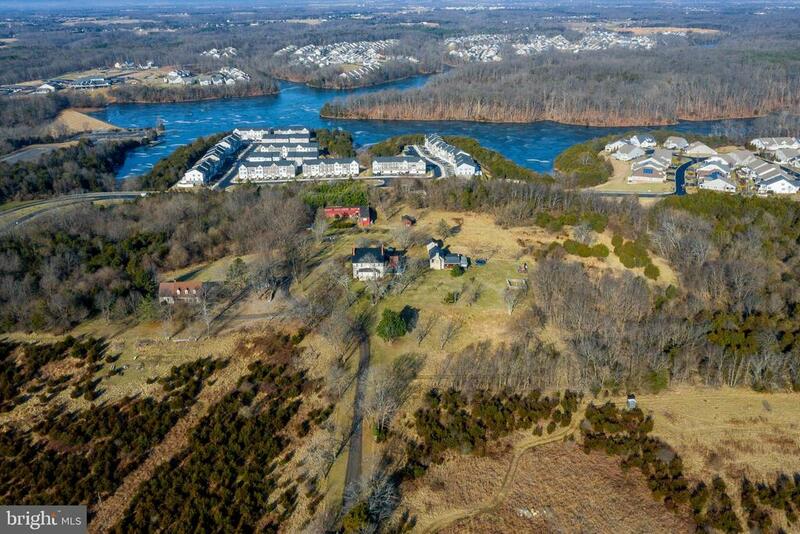 This historic property offers a prime opportunity to invest in the area~s future, literally next door to the Lakeside-Shenandoah active community and Lake Frederick. Boasting picturesque stone architecture pre-dating the AmericanRevolution, this 28-acre estate combines the verdant charm of the Old South with a location central to all modern conveniences. It is perfect to be converted to a bed and breakfast, wedding venue, vineyard, corporate retreat, antique center etc. -- 10,000 built-in clientele who live at the Lakeside Community; over 16,000 cars pass the entrance on 522 daily according to VDOT; hundreds of feet of road frontage. For the buyer looking to reside in the mansion, it is the perfect mixture of privacy and convenience. A country getaway combining history and prominence with a park-esque atmosphere, yet high-speed Fios is available, and located near all major cities and highways (Interstates 81 and 66 are located within a few miles). 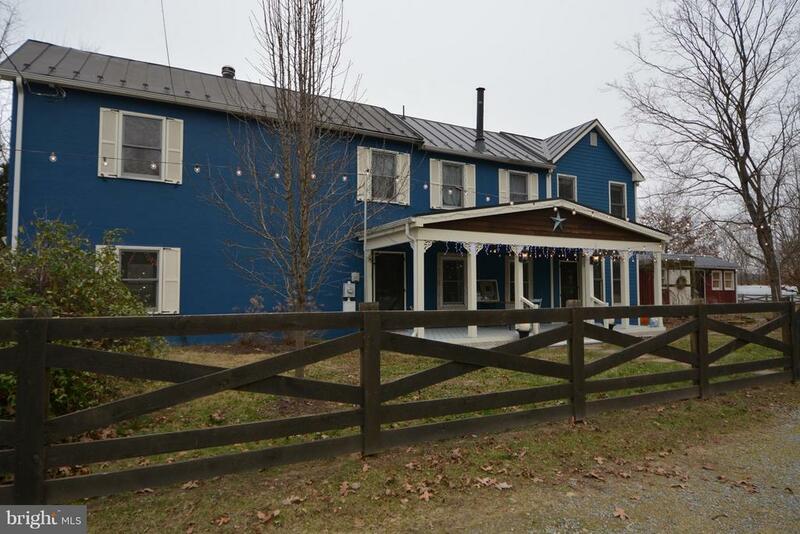 It is positioned on 340/522 approximately midway between Front Royal and Winchester, in Virginia~s scenic Shenandoah Valley, with spectacular views of the Blue Ridge Mountains. The Wheatland Mansion, built circa 1800's, is over 4,000 square feet, not counting a 3-room cellar. Additionally, there are 2 large guest houses: one over 3,000 square feet, and the other 2,500 square feet. There is endless storage space consisting of a multitude of out buildings and barns; the largest being a 2-story, L-shaped, 5,000 square foot barn. For more detailed information and/or history please search headleysantiques/wheatland, Updat"
". 97 acres Zoned AOC but many options for agricultural related uses such as: Farm Machinery Sales and Services, Wineries; Breweries; Distilleries; Farm Supply Sales; Farm Markets Only minutes from I-81 & i-66. Has 4 BR, brick cape cod plus 4 additional dwelling unit rights & barn/stable"
"19 acres +/- to be subdivided from map # 35 A 1 which has 97 acres. Home is back from road providing privacy and surrounded by large parcels Great Views, 4BR, 2Ba, brick cape cod with large rooms including Master with adjoining bath on main level plus 2nd Master upper level, screened sun porch off kitchen/family room, formal living room with wood burning fireplace.TRULY A PLACE TO CALL HOME!!" 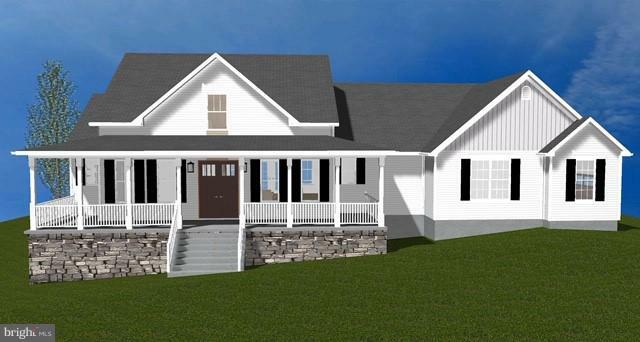 "Home to be built on 1.733 acres located in the historical community of White Post in Clarke County with no HOA and no restrictions within 20 minutes from I81, I66, and within an hour from Fairfax, Va. 50gal/min well on property and 4 bedroom conventional perk. Land has hard cap road frontage! Public water available." "CEDAR MEADOWS GATED 55+ COMMUNITY. 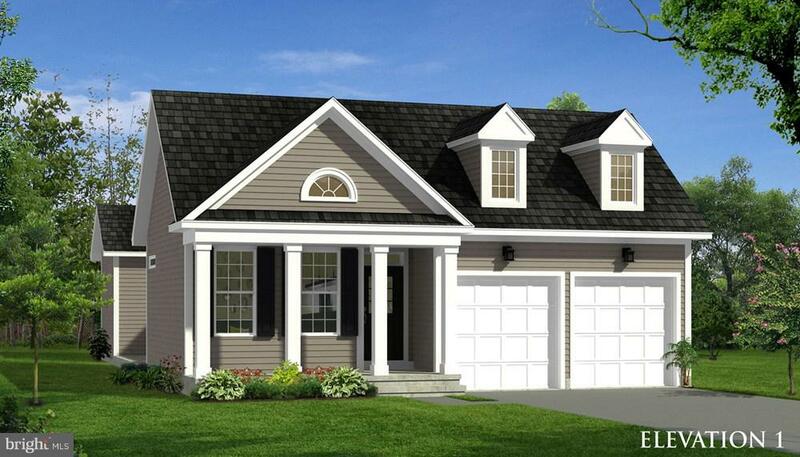 NICKERSON II OPEN CONCEPT FLOOR PLAN OFFERS THE NEWEST & BEST FEATURES AVAILABLE. 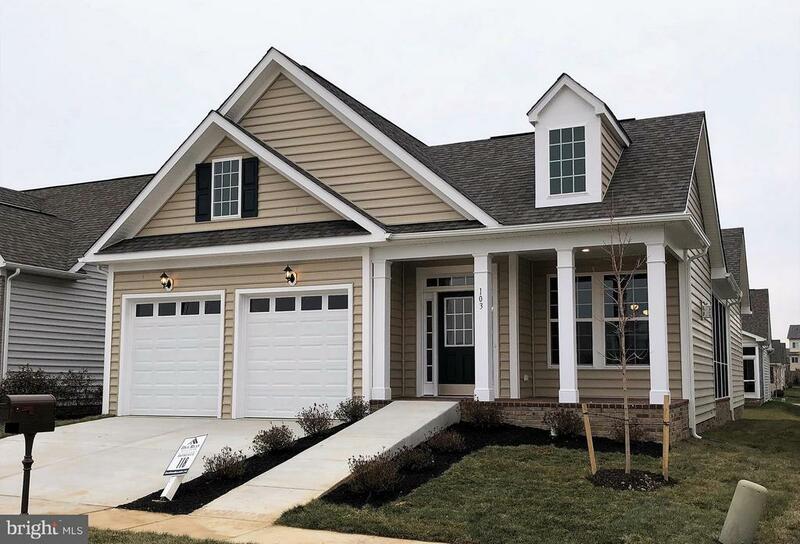 QUARTZ COUNTERS IN KITCHEN AND BATHS, ALL UPGRADED APPLIANCES, CUSTOM MAPLE CABINETS W/ SOFT CLOSE DRAWERS, EXTENSIVE TRIM THRU-OUT, SURROUND SOUND SYSTEM, FRAMELESS ROMAN SHOWER IN MASTER SUITE, STONE TO CEILING STATE OF THE ART FIREPLACE, SCREENED IN BRICK PORCH. 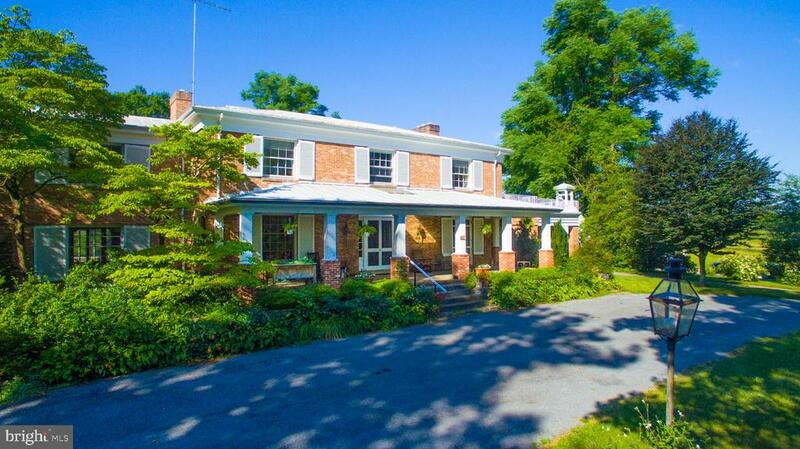 MODEL OPEN 10-5"
"Picturesque home on 1.89 Acres in the quaint town of White Post in Clarke County. From the tranquil blue exterior to the impeccable interior, this home is simply magical! You will surely fall in love with the old school charm of this home, the hardwood floors, the modern kitchen, trendy bathrooms, and vibrant hues. Multiple indoor and outdoor spaces for entertaining; access the screened back porch or the front porch via the spacious dining and living rooms with abundant custom built ins. Enjoy the modern Kitchen with a farm sink and Stainless Steel appliances, and surround sound in the Family Room! Master BR has a private staircase, vaulted ceilings, and a ~walk-through~ closet. Sauna Lamp in 2nd Bathroom. Attic Fan to keep home cool in the summers! Only an hour away from the Beltway.Additional structures include a Cottage or Artist~s Studio, pergola, a Commercial Garage and a tunnel Greenhouse (all on separate electric panels). The Cottage has a root cellar and newly installed sump pump; would be great for a home office. 0.568 acre Commercial Garage with a store front is currently leased for $700/month (tenant is interested in long term lease), is weatherproof, and has resealed floors; holds potential for supplementary income. Tunnel Greenhouse with venting system; perfect for an avid gardener. Home has wood fencing in addition to Invisible Fencing; great for children and pets alike. Mature Fruit and Nut trees on property. Owners were Super Hosts on Air BnB; details can be provided upon request. Home is currently rented out. Septic Tank holds 1200 gallons, was recently inspected and drained. Owners have made multiple updates over the years, including new Roof, and Tankless water heater. List of updates and 6 month Utilities Schedule is attached in documents. A truly unique home in Clarke County that is a must see! 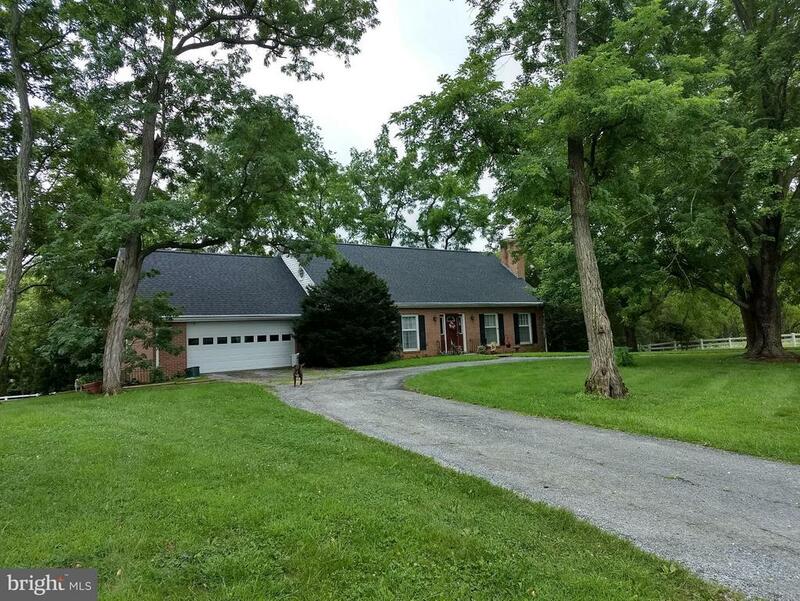 Location is Ideal; this lovely home is close to Ashburn, Berryville, Boyce, Purcellville, Stephen City, Winchester, and only an hour away f"
"HOGAN II PLAN. MOVE-IN READY NOW WITH LOTS OF UPGRADES. 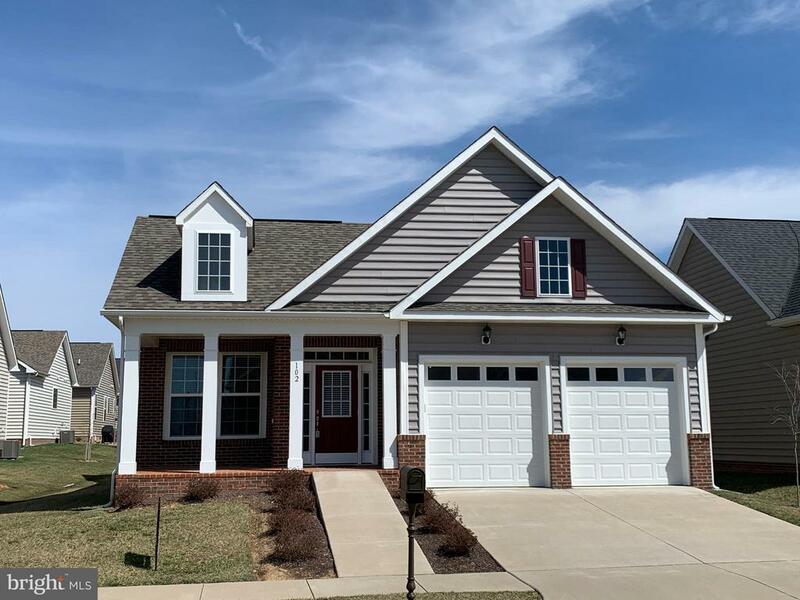 OPEN CONCEPT FLOOR PLAN, SCREENED-IN BRICK PAVER PATIO / PORCH, STAINLESS APPLIANCES, FRENCH DOOR FRIDGE, HARDWOOD FLOORS THRU OUT MAIN LIVING AREA, 42 MAPLE CABINETS W/ QUARTZ COUNTERS, WALK-IN ROMAN SHOWER W/ OVERSIZE CERAMIC TILE. MODEL OPEN DAILY 10:00 TO 5:00. CONTACT SHANE K. FOR MORE INFO AND CLOSING COST CONTRIBUTIONS." 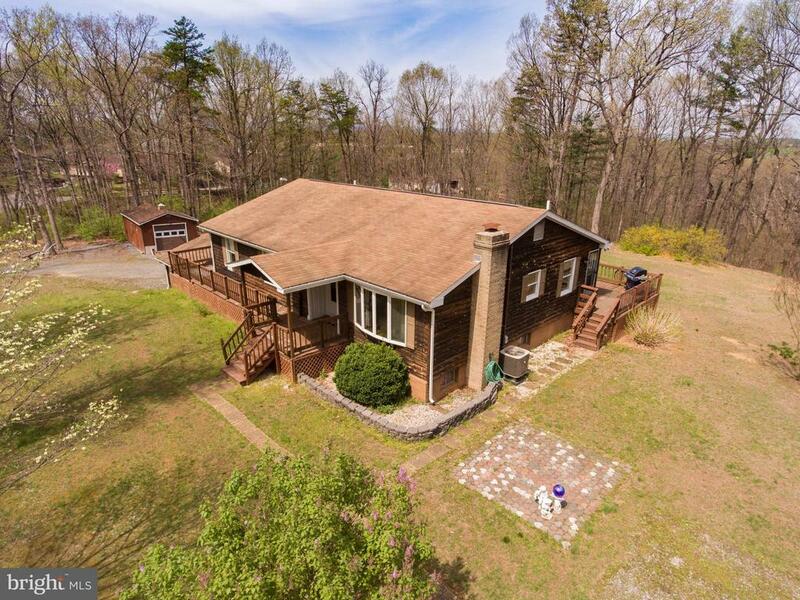 "Spacious rancher on 5 Unrestricted acres in an unbeatable location convenient to 522! Inside, the home's wonderful layout and abundance of doors and windows make the gorgeous lot easily accessible and enjoyable from every room. The kitchen has been beautifully updated, and your finishing touches will make this home a true gem! Some minor work will gain you a ton of equity! The basement boasts two huge family rooms, a full bath, and plenty of unfinished space for a future bar, kitchenette, or in-law suite. The lot offers a great balance of cleared and wooded land, which when the leaves fill in creates a nice private oasis. The property also features a shed/detached garage with power, two driveways, and full wraparound deck." "Luxurious, Like New, One Level Living Home in Gated 55+ Community ~ Open Floor Plan with Cathedral Ceilings ~ Maple Cabinets with Granite Countertops, Stainless Steel Kitchen Appliances & Pantry ~ Hardwood Flooring in Main Living Area ~ 2 Bedrooms, 2 Baths ~ Master Suite includes Sitting Area, Walk-in Closet, Master Bath with Double Sinks, & Walk-in Roman Shower ~ Large Dining Area ~ Side, Screened-in Brick Paver Porch ~ Cover Front Porch & Finished 2-Car Garage. Lovingly Cared for Home that is Move-In Ready! See Documents with Floor Plan ~ Hogan II. 1 Year Home Warranty Offered"
"CEDAR MEADOWS OVER 55 GATED COMMUNITY. NICKERSON II PLAN. 3 BEDROOM / 2 BATHS, OPEN FLOOR PLAN W/ VAULTED CEILINGS, 18X12 BRICK PATIO, LARGE DINING AREA, GRANITE, HARDWOODS, BEADED SIDING AND MUCH MORE. LAWN CARE, TRASH AND SNOW REMOVAL, COMMUNITY CENTER, WALKING TRAIL, POND ARE INCLUDED FEATURES. CONTACT SHANE KALIVRETENOS FOR MORE INFO. MODEL OPEN DAILY 10:00 TO 5:00." "CEDAR MEADOWS OVER 55 GATED COMMUNITY. OPEN CONCEPT 2 BEDROOM 2 BATH RANCH PLAN W/ LARGE SITTING AREA IN OWNERS SUITE. VAULTED CEILINGS, GRANITE, HARDWOOD THRU-OUT MAIN LIVING AREAS, 13X17 BRICK PATIO, 6.5 BEADED SIDING ARE ALL INCLUDED FEATURES. 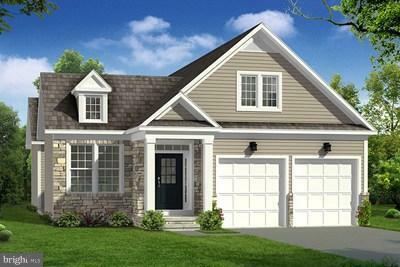 BUILD TO SUIT AND READY MOVE-IN READY HOMES **HOGAN II BASE PRICE** TO BE BUILT CONTACT SHANE KALIVRETENOS FOR INFO. MODEL OPEN DAILY 10 TO 5." "CEDAR MEADOWS OVER 55 GATED COMMUNITY. 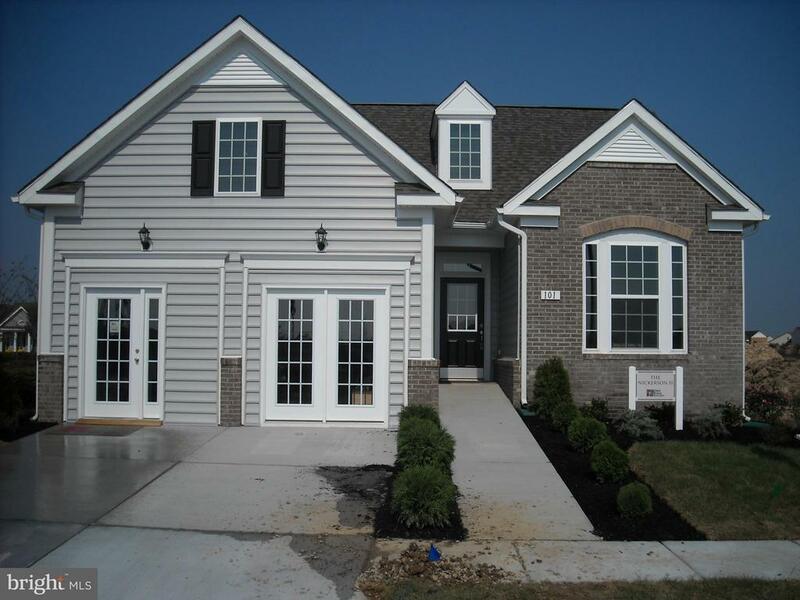 DAN RYAN BUILDERS IS OFFERING 4 STYLISH ONE LEVEL PLANS. 2X6 CONSTRUCTION, OPEN FLOOR PLANS, HARDWOOD FLOORS, GRANITE COUNTERS, BRICK PATIOS, ARCHITECTURAL ROOFS AND MANY DESIGNER OPTIONS TO CHOOSE FROM. 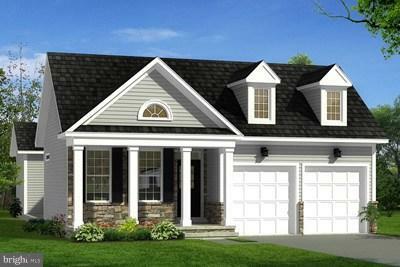 BUILD TO SUIT AND READY MOVE-IN HOMES **STEPHENSON II BASE PRICE** TO BE BUILT CONTACT SHANE KALIVRETENOS FOR MORE INFO. MODEL OPEN DAILY 10-5." "CEDAR MEADOWS OVER 55 GATED COMMUNITY. 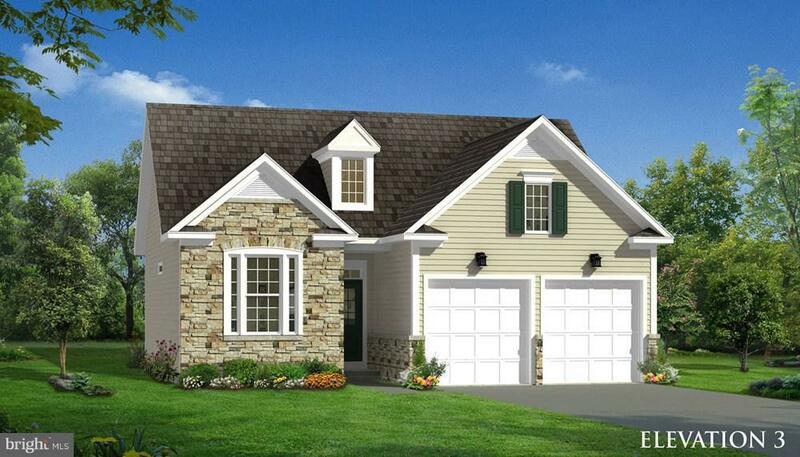 BEAUTIFUL 2 BEDROOM 2 BATH CARRAWAY RANCH STYLE PLAN. INVITING FRONT PORCH, OPEN FLOOR PLAN, HARDWOOD FLOORS THRU-OUT MAIN LIVING AREAS, GRANITE COUNTERS, 25 X 12 BRICK PATIO AND MUCH MORE. BUILD TO SUIT AND READY MOVE-IN HOMES **CARRAWAY II BASE PRICE** TO BE BUILT. CONTACT SHANE KALIVRETENOS FOR MORE INFO. MODEL OPEN DAILY 10:00 TO 5:00"
"CEDAR MEADOWS GATED 55+ COMMUNITY. 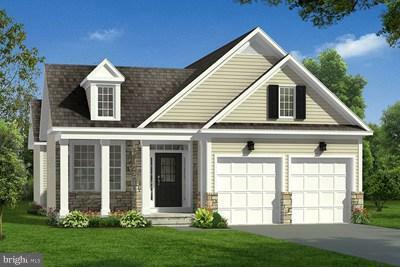 CARRAWAY II OPEN CONCEPT FLOOR PLAN FEATURES A BRICK PATIO, HARDWOOD FLOORING IN MAIN LIVING AREAS, GRANITE COUNTERS, CUSTOM CABINETRY, TANKLESS HOT WATER HEATER, UPGRADED 92% GAS FURNACE, ARCHITECTURAL SHINGLES, 2X6 EXTERIOR WALLS FOR SUPERIOR INSULATION. MANY MORE DESIGNER OPTIONS TO CHOOSE FROM. CONTACT SHANE KALIVRETENOS FOR MORE INFO. MODEL OPEN DAILY 10-5."